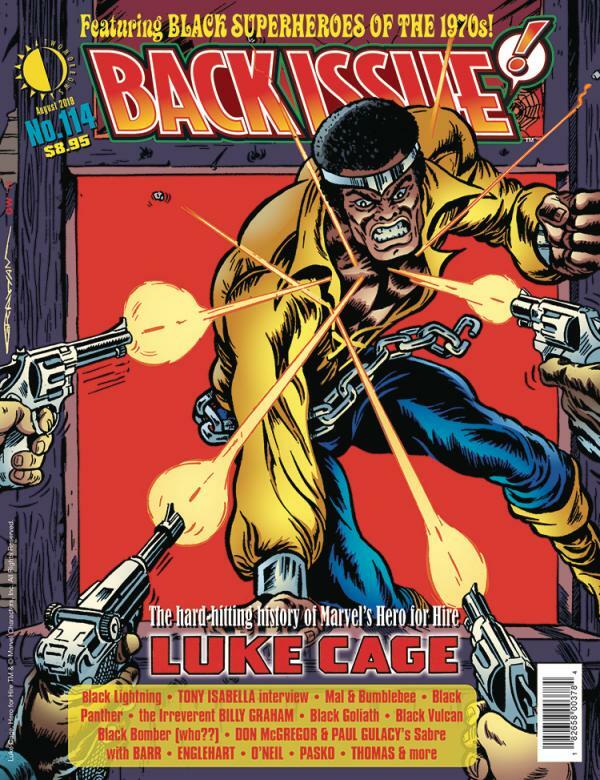 Back Issue is busting loose with Black super-heroes of the 1970s, featuring a history of Luke Cage, Hero for Hire! Plus: a retrospective of artist Billy Graham, a Tony Isabella interview, Black Lightning, Black Panther in the UK, Black Goliath, the Teen Titans' Mal and Bumblebee, Don McGregor and Paul Gulacy's Sabre, and... Black Bomber (who?). Featuring Mike W. Barr, Steve Englehart, Roy Thomas, and more, under a classic Luke Cage cover by the Irreverent Billy Graham. Break out the DDT and run for your life! 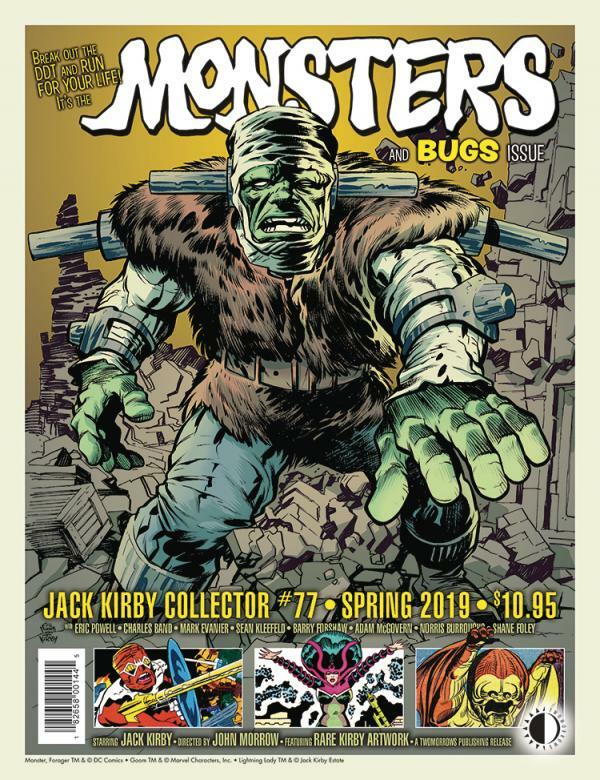 It's "Monsters & Bugs" in Jack Kirby Collector #77! We dig up Jack's monster-movie influences in The Demon, Forever People, Black Magic, Fantastic Four, Jimmy Olsen, and of course his Atlas monster stories! Plus: A look at the twisted path Kirby took with "B" horror film producer Charles Band's Full Moon Productions! An interview with The Goon creator Eric Powell about his Kirby influences! A look at Kirby's use of insect characters, especially as villains! 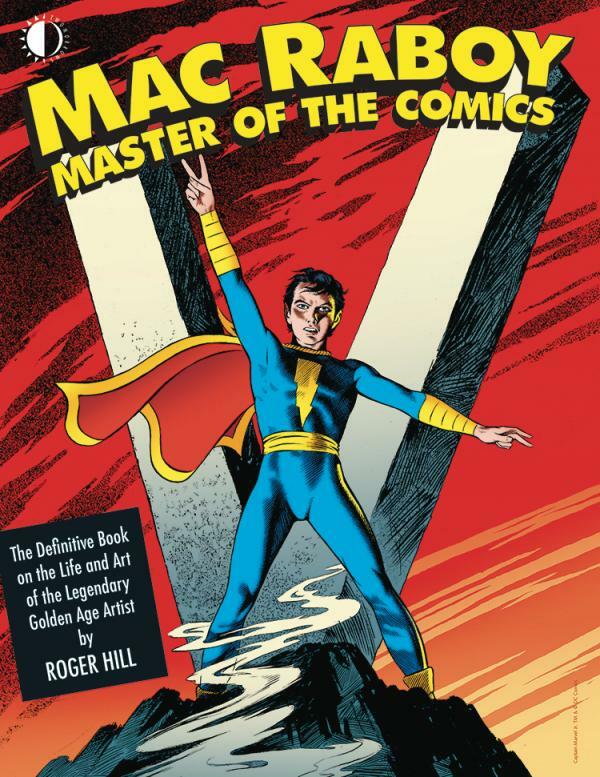 Also Mark Evanier and our other regular columnists, a Golden Age Kirby story, and a gallery featuring Jack's amazing pencil art! Kirby/Eric Powell cover!